Read on to know the List of Top Pharmaceutical Colleges in India for various courses. 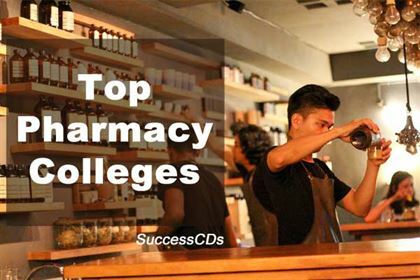 Students who aspire to take admission to Pharmacy courses here is a list of Top Pharmacy colleges in India. The colleges listed here are in no particular ranking. Pharmacy is a branch of health sciences that deals with the preparation, dispensing and proper utilization of drugs. There are various programs in Pharmacy conducted by different colleges in India. The main courses in Pharmacy are 2 years Diploma in Pharmacy (D.Pharm), 4 years Bachelor of Pharmacy (B.Pharm), 2 years Master of Pharmacy (M.Pharm) and Ph.d programmes.